Register your Le Mans 62 edition and meet other owners. 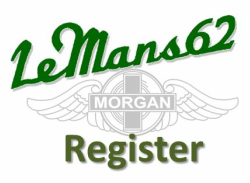 Contact the Historic Register and let us know of your Morgan and contact details. SportsMog Centre is for all Morgan owners who love to compete, attend competitions or just plain love regular driving of the Morgan Sports Cars.